14K White or Yellow Gold Diamond Scatter Ring,0.15ct diamonds. This scatter style band is crafted in your choice of polished and satin 14K white or yellow gold. 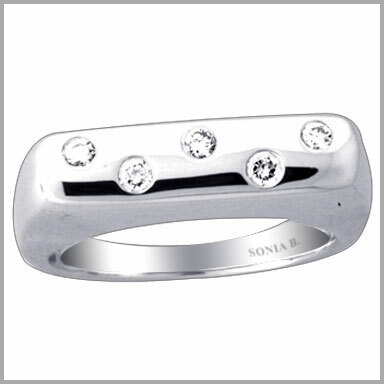 It features five full round cut diamonds in burnished settings. The total diamond weight is approximately 0.15ct with a color of G-H and a clarity of SI. The setting size is 3/16" x 3/4" with a height of 1/8". It also has an undergallery for added beauty and comfort. 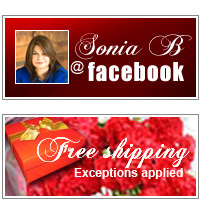 I have several of Sonia's rings from Shopnbc but this one is the most beautiful.